We’ve all been there. You stayed out a little too late, partied a little harder than normal, maybe had an extra drink or two. We get it. We also get the next day puff under our eyes that comes with the territory of a night of fun. 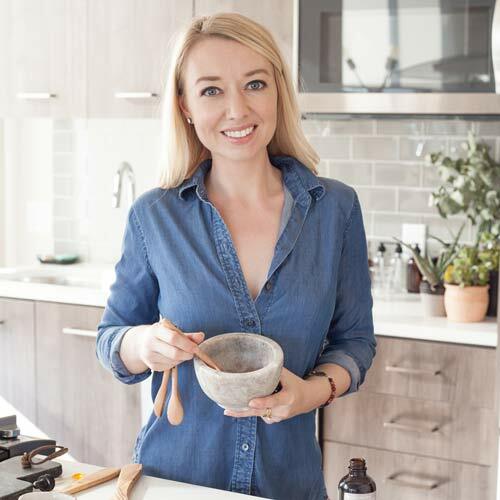 If you’ve ever done any kind of DIY at-home beauty, you’ve probably heard of putting teabags over your eyes to calm and de-puff any under-eye bags or inflammation. But honestly, who wants to sit there with soppy, wet tea bags on your face, lying back and unable to move for however long the treatment is supposed to take? Yeah, not us either. Luckily, we’re here to help you use the same idea and ingredients in a much more effective way. 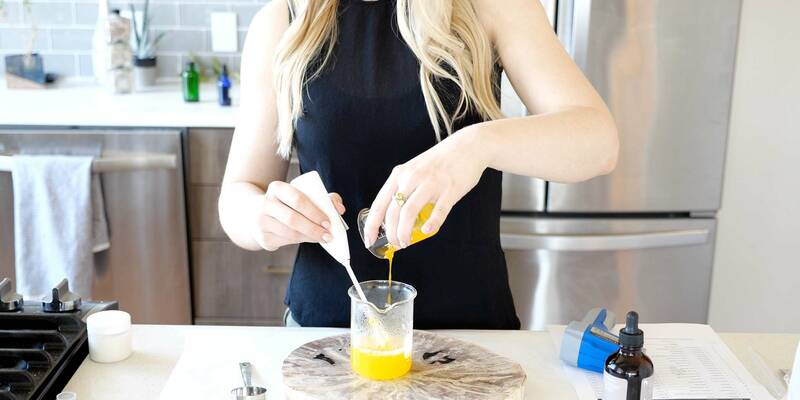 Follow along with this easy DIY recipe for cooling, anti-puff eye gel to help you recover after a long night out. 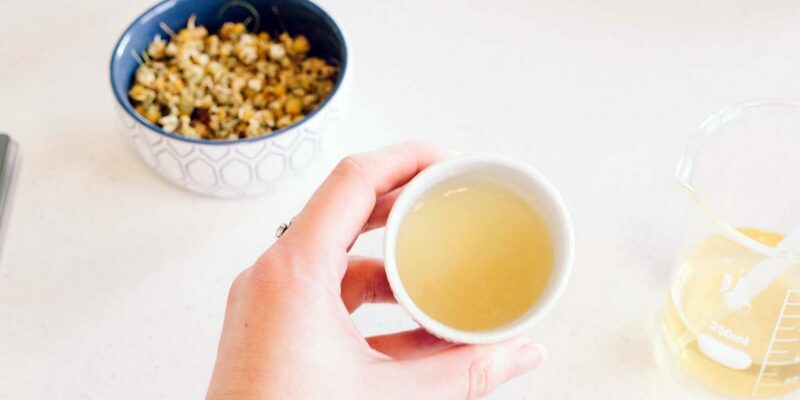 We’re going to be taking black, green or chamomile tea and adding a couple easy-to-find ingredients to turn that tea into a convenient gel you can apply at any time you need a little de-puff. The reason we like to use black or green tea is that we actually want to harness the stimulating property of caffeine. Caffeine is actually an anti-inflammatory, working to narrow the blood vessels and temporarily reduce under eye bags. Pretty cool, huh? If you want something more calming and relaxation-inducing with and unbeatable aroma, opt for chamomile tea. Eye gel made with chamomile tea for those cooling and relaxing vibes. Luckily, we’re here to help you use the same idea and ingredients in a much more effective way. 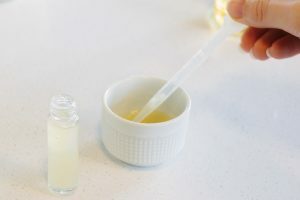 Follow along with this easy DIY recipe for cooling, anti-puff eye gel to hep you recover after a long night out. 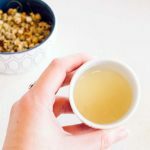 We’re going to be taking black or green tea and adding a couple easy-to-find ingredients to turn that tea into a convenient gel you can apply at any time you need a little de-puff. The reason we use black or green tea is that we actually want to harness the stimulating property of caffeine. Caffeine is actually an anti-inflammatory, working to narrow the blood vessels and temporarily reduce under eye bags. Pretty cool, huh? 1/4 oz vegetable glycerin or raw honey Honey will be a little stickier. 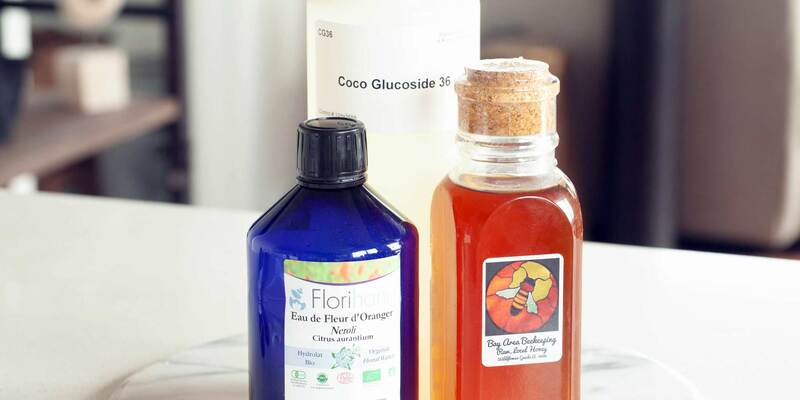 Glycerin can easily be found at places like CVS and Whole Foods. 1 Pinch xanthan gum Available at places like Whole Foods Target, or in the baking section of grocery stores that carries gluten free options. Xanthan gum is used to thicken liquids into a gel, which allows the mixture to stay more easily on the skin. Before you begin, make sure everything is very clean since you will be using this around your eyes and want to avoid getting anything that could have bacteria close to your eyes. Brew 4 ounces (about a 1/2 cup) of very strong tea by leaving the teabag in water for 10 minutes or more. Transfer to fridge and let cool for a few hours. You can drink the remainder you don’t use as an ice tea! Slowly add the glycerin/honey+ xanthan gum mixture to your tea. The mixture will transform before your eyes into a gel. I like to put the gel in the fridge for about 15 minutes, and then slowly dab onto under eye area. You can put this gel on while you brew your morning coffee, and after letting it soak in, apply concealer or other makeup over the gel to allow it to continue to work it’s magic as the day goes on! 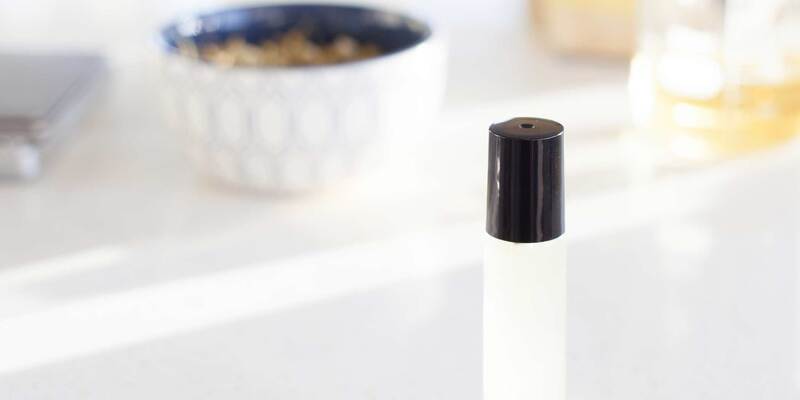 Add to a rollerball bottle for the ultimate de-puffing experience. Use a pipette to easily transfer the eye gel to the rollerball.